Herb Sunshine was one of Epi Stathopoulo's key employees at the "House of Stathopoulo" headquarters in New York and helped to inspire Epiphone to become the leading name in affordable professional instruments. "Epi's father had brought over their Greek traditions from the old country and Epi was just carrying on where the old man had left off. They had terrific pride. Epi personally examined every guitar and banjo," Sunshine told Epiphone historian Jim Fisch. "We called electric guitars and amplifiers "Electar" which is a name I coined." "The ultimate in steel guitar form." 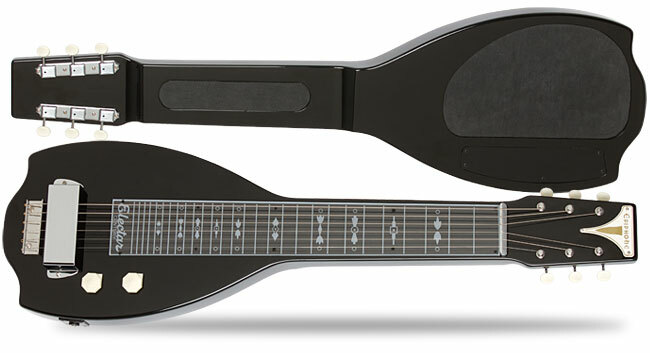 The new Epiphone Electar Inspired by "1939" Century Lap Steel 6-string Outfit features the same body profile as the vintage original with a one-piece Mahogany body and neck with an Ebony finish. The back of the body has an inset non-slip rubber pad. The "1939" Century neck area has a classic Plexiglass fingerboard with a traditional "1939" Art Deco Replica inlay design with 28 frets that are properly set for great intonation at any position. 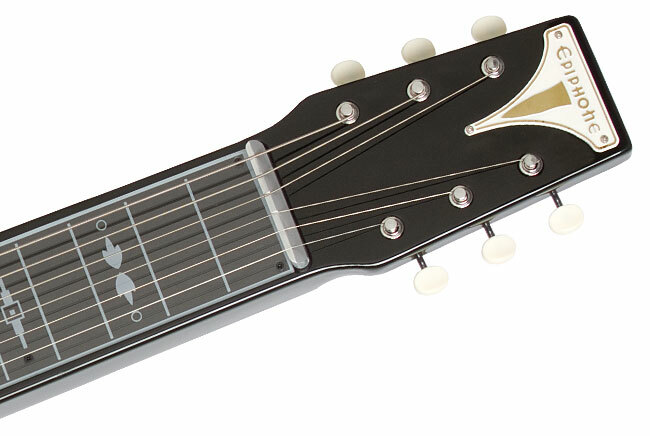 The headstock features the vintage metal Epiphone badge used on Epiphone's earliest electric archtops from the 40s through the introduction of the Epiphone Casino in 1961! The 2.5" aluminum nut is raised slide and the Wilkinson™ "Deluxe" 3-in-Line machine heads have Ivory Colored Buttons. 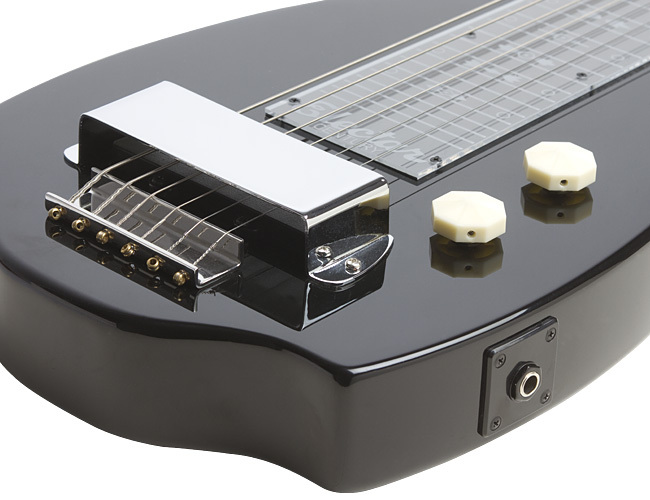 The new Electar Inspired by "1939" Century Lap Steel is powered by a powerful Epiphone 500B "Blade" Humbucker with beautiful reproduction Epiphone "Circus Tent" knobs for Master Volume and Tone. 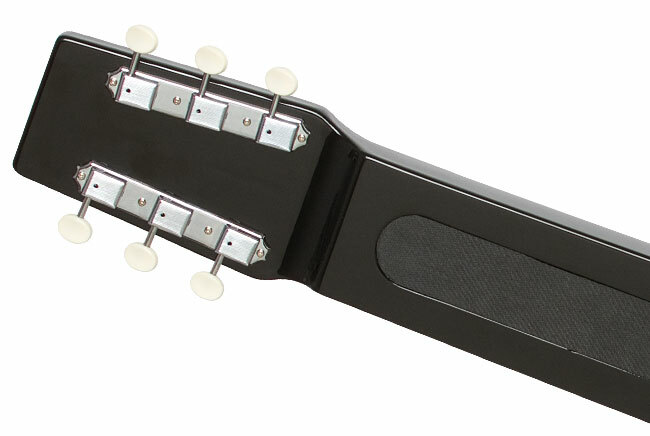 The bridge and tailpiece are Aluminum with a period-style nickel-plated steel cover. The Epiphone Electar Inspired by "1939" Century Lap Steel Outfit comes with a fitted gigbag and comes with Epiphone's Limited Lifetime Warranty and world famous Gibson 365/24/7 customer service. Take a home a classic from the original House of Stathopoulo with the Epiphone Electar Inspired by "1939" Century Lap Steel Outfit at your favorite Authorized Epiphone Dealer.